Které nejčastější otázky pokládají zkoušející u ústní zkoušky z angličtiny na téma Velká Británie a jak na ně odpovídat tak, abyste získali vynikající hodnocení. Připravili jsme seznam nejvíce frekventovaných otázek hodnotitelů pro maturitní okruh Ireland a vzory odpovědí na jedničku. Tak si je vyzkoušejte nanečisto v klidu a teple svého domova na mobilu či počítači. 1. In fact, what really refers to the name „Great Britain“ and what is the official name of the United Kingdom (UK)? Tell me about it. The official name of the UK is the United Kingdom of Great Britain and Northern Ireland. The name “Great Britain” doesn’t stand for a country but for a land mass. Great Britain refers to only England, Scotland, and Wales. It is called “great” because it is the biggest island in the British Isles. 2. Is the UK a continental or an insular country? Tell me about it. The United Kingdom is an insular country. Insular country means that a country is surrounded by water on all sides, being the only great power there. It also means that the country is isolated. 3. How is the UK separated from continental Europe? Tell me about it. The English Channel (La Manche) separates the southern part of the United Kingdom from France. The North Sea separates it from Denmark, Sweden, Norway, the Netherlands, Germany, and Belgium. 4. Where does the UK lie? Tell me about it. The UK is located in the north-west of Europe. It shares a land border only with the Republic of Ireland. Otherwise, it is surrounded by the North Sea to the east, the Celtic Sea to the south-west, the English Channel to the south, and the Atlantic Ocean. 5. What is the geography of the UK? Tell me about it. The north and the west of the country is mountainous, there are mountains such as the Cumbrian Mountains, the Pennines, or Dartmoor. The rest of the country is covered in the lowland. Ben Nevis (1345m) is the highest mountain in the United Kingdom. Two longest rivers are the Severn and the Thames. The Thames is also the deepest river in the United Kingdom. 6. Which autonomous parts make the UK? Tell me about it. The United Kingdom consists of four countries: England, Scotland, Wales, and Northern Ireland. The countries have their own devolved governments. The four capitals are London, Edinburgh, Cardiff, and Belfast. 7. Which nationalities can be now found in the UK? Tell me about it. Most of the UK’s population is situated in England. There are several different nationalities living in the United Kingdom. 5 largest populations from overseas are Poland, India, Ireland, Pakistan, and Germany. 8. What is the climate like in the UK? Tell me about it. Great Britain is known for being always rainy and cloudy. The climate is influenced by the Atlantic Ocean, therefore it is humid and temperate. In general, the weather is very changeable with frequent rainfall. The average temperature in the summer is 18°C and 5°C in the winter. 9. Which industries would you consider the most significant in the UK? Why? Tell me about it. Industries in the UK are very important for the country’s economy. They also employ thousands of people every year. Aerospace Industry- the wings for Airbus A380 and the A350 XWB are manufactured in the United Kingdom. UK’s aerospace industry is the fourth largest in the world. Automotive Industry- the UK produces sports cars, such as Jaguar, Bentley, Land Rover, Aston Martin, Mini, Rolls-Royce. 10. Who is the official head of the UK? Tell me about her/him. The official head of state is the Queen Elizabeth II., however, the head of the government is the prime minister, currently Theresa May. The queen is the one who appoints the prime minister, and she has the power to dissolve the Parliament, but other than that her powers are more formal. The Prime Minister is responsible for the decision-making. 11. Which famous leaders or soldiers are historically well-known talking about the UK? Tell me about them. 12. Why does the British flag look the way it looks? Tell me about it. The flag of the UK is called the Union Jack. It is composed of the red cross of St. George (patron of England), underneath the red is the white Cross of St. Patrick (patron of Ireland), and underneath all is the blue Saltire of St. Andrew (patron of Ireland). 13. What are the basic differences between England and Scotland? Tell me about it. 14. Which historical event do you consider the most important in the history of Great Britain? Why? Tell me about it. There are numerous historical events that are important. Some of them would be for example the Act of Union or the Battle of Waterloo. The Act of Union happened in 1707. The Scottish Parliament and the English Parliament united into One Kingdom. The Battle of Waterloo happened in 1815. It was a battle, where British-led allied armies with Prussian commands defeated Napoleon Bonaparte and his French army. 15. What is Stonehenge and where is it situated? Tell me about it. Stonehenge is a world-famous stone monument, situated in Wiltshire, in the south of the UK. It is a circle of stones, that was built 5,000 years ago. The biggest stones are called “sarsens” and are up to 9 meters tall. The smaller ones are called “bluestones”. Stonehenge still remains a mystery, no one really knows, why it was built. Some theories say that it was used as a burial ground, complex for ceremonies, healing center, or an alien landing site. 16. What does the typical British coast landscape look like? Tell me about it. The coastline of the UK is very long and rugged. There are many cliffs, islands, peninsulas, beaches, and bays. The cliffs offer a beautiful view of the ocean and the natural beauty. 17. Do you know any famous traditions held in the UK? Tell me about it. 18. What do you think the Britons are proud of? Why? Tell me about it. 19. Have you ever watched a typical British sitcom? Why? / Why not? There are plenty of British sitcoms, they are usually classic and very funny with the typical British humor. Typical British sitcoms include Mr. Bean, Red Dwarf, Monty Python, Black Books, The IT Crowd, etc. 20. How do people travel in the UK? Tell me about it. There are many options for transportation. People in the UK can travel by car, bus, train, airplane, or they can even use the water transport. The British transport network is actually one of the most advanced in the world. In the bigger cities, such as London, the majority of people chooses to use metro for travelling. Proč by naše odpovědi získaly skvělé hodnocení u ústní zkoušky u maturity z angličtiny? 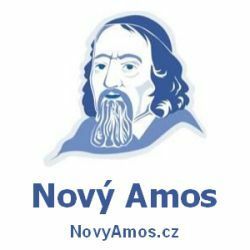 Odpovědi mají očekávanou délku a obsahují vhodnou slovní zásobu. Odpovědi zahrnují fakta o tématu Ireland. Odpovědi jsou vhodně odůvodňované a zakončené. Angličtina je na očekávané maturitní úrovni. 1. Would you like to visit the UK one day? Why? / Why not? Yes, I would like to visit the UK one day. I would like to go to all 4 countries and get to know a little bit of each culture. I would also like to study there if I would get the opportunity, or maybe even work there for a few months. My English would improve, I would like to meet new people, and just travel around. 2. Have you ever watched a typical English sitcom? Why? / Why not? Tell me about it. Just like the majority of people, I’ve watched Mr. Bean. Then I also watched the Red Dwarf, Monty Python, and The Office (the British one). I personally really enjoy British humor, that is the reason I watch British sitcoms. They are hilarious and I feel like every generation enjoys them. 3. Do you think the English language is the same all around Great Britain? Tell me about it. I have never been to the UK, but I am sure the language is different in different areas. Scottish English has many different dialects, as well as the Welsh one. People around Great Britain have different accents, so even if you live in the south of England, you might have difficulties to understand people living in the north. 4. If you travelled to the UK, which place would you definitely want to visit? Why? Tell me about it. I would like to see the capital for sure and get to know London a little bit, but then I would like to see the countryside. I would love to see the cliffs, the beaches, the lakes in Lake District, visit the castles etc. Overall, I prefer the places that are not overcrowded with tourists. 5. Do you think it is easy to drive in the UK for somebody from Germany, or Italy? Tell me about it. In Germany, Italy, or even here in the Czech Republic, we are used to driving on the right side of the road. In the UK they drive on the left. I don’t think it would be easy for us to drive there, but I think we would get used to it pretty fast. It definitely takes practice and it has to be confusing at first, but I think that in a day or two, it would feel normal. 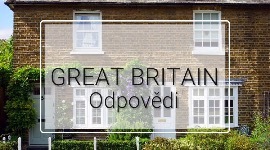 Příspěvek byl publikován v rubrice Velká Británie se štítky Great Britain a jeho autorem je NovýAmos.cz. Můžete si jeho odkaz uložit mezi své oblíbené záložky nebo ho sdílet s přáteli.